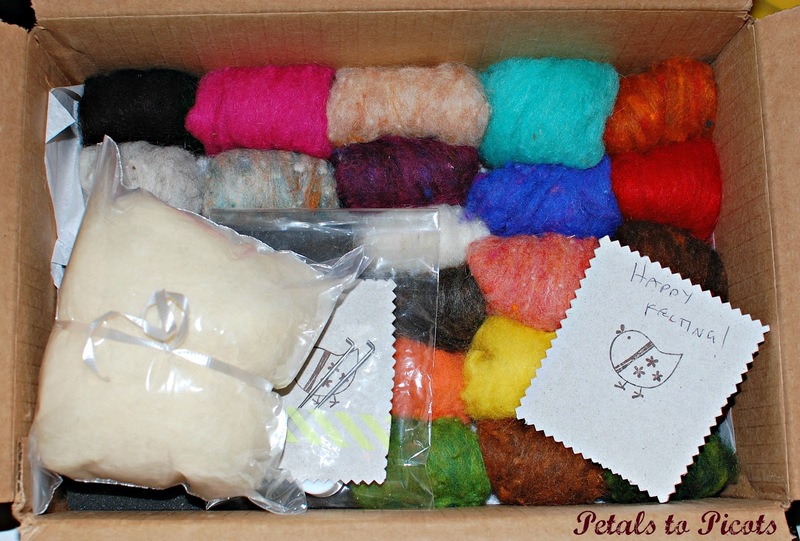 I am so excited about my newest purchase … this needle felting kit that I bought from Asherjasper on Etsy! … but for now I am going to start small and try to needle felted design on a hook case I worked up (you can get that free crochet pattern here). Here is what I sketched up for the design. What do you think? I can’t wait to show you the finished product! Hello! I am wondering how many oz. of wools did you get from that kit? Those penguins are so cute! That is SO exciting!! I’ve seen needle felting and would love to do it, but I’m also wondering how many puncture holes my hands will have before I’m done. Good luck to you. Can’t wait to see the final product! I have tried both types of needle felting (for sculptural pieces and embellishments) and like both. If you want to make figures I’d recommend getting a kit just for that. I got one to make a simple teddy bear and it was great (my final product was wonky but not bad for a raw beginner). Looks great!I have wanted to try needle felting for a while so I look forward to seeing your first project! Have a great day!